Chapter 2 Praise and Thanksgiving pp. 37-44. Examples of Mass from The Ordination to the Order of the Priesthood of Donald Haugh Bender, Jr. and Ryan Patrick Fischer. 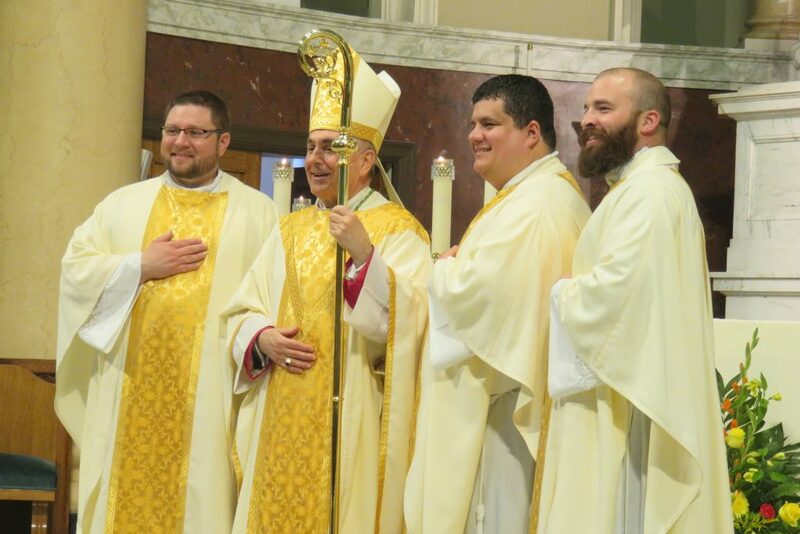 This took place on June 6, 2015 at St. Patrick Cathedral, Harrisburg, PA (we are just skipping through the parts..) Both Priests have spent a summer at St. Patrick Church and Fr. Bender lives here now. He had Mass last week with us! Also, it is a great way for the students look at our Harrisburg Diocese Cathedral and see our Bishop Gainer. Review: Old Testament, New Testament, Psalms, Gospels, Epistles.